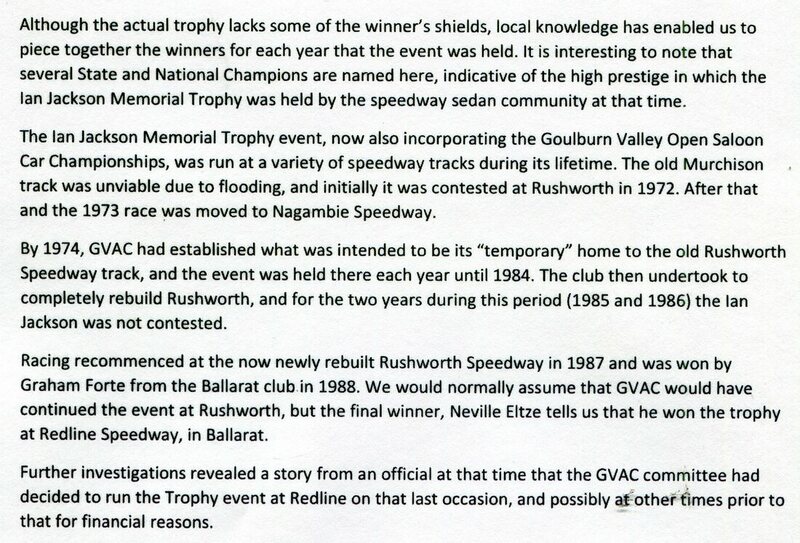 Above; Jim Gooding (Mini GT) with the trophy and the Golden Valley Championship sash from 1973. Right; GVAC President Alan Harris presents the Ian Jackson Memorial Trophy to Trevor Peters in 1975. Above; In 1975 Barry Hall (on the right) won the NEHRA "A Modified" Championship, with Neville Eltze (left) in second place. Right; An article which appeared in the Shepparton News following Ian Jackson's death. 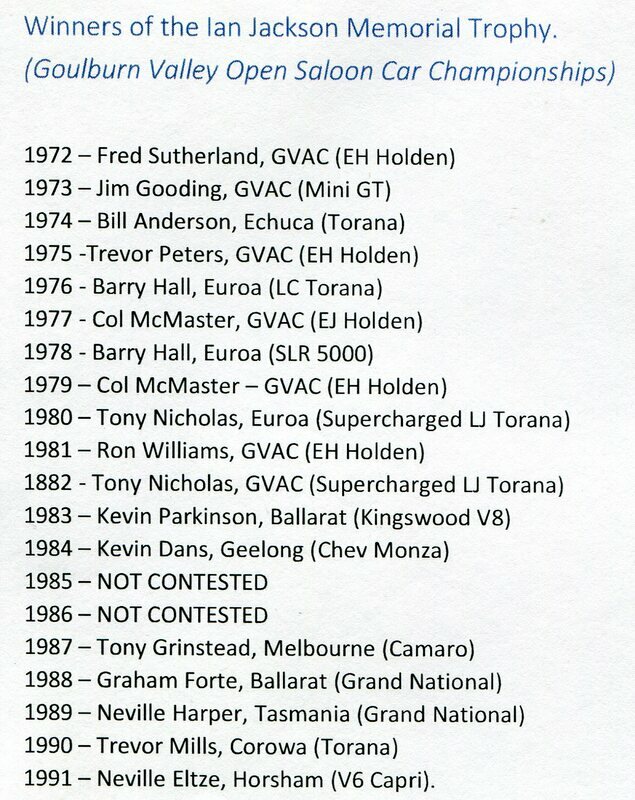 Australian Champion Tony Grinstead in a Camaro was one of the winners of the Ian Jackson Memorial Trophy at Rushworth Speedway in 1987.